Delivery: Dispatched within 1-2 working days. Now you can order this great Clan Crest Cross Stitch Chart, and have hours of fun creating your own authentic piece of Family History. 14 stitch / inch, and designed to be used with Anchor Threads. Also included is a full list of threads required and lengths to ensure that you can purchase everything you need before you start. 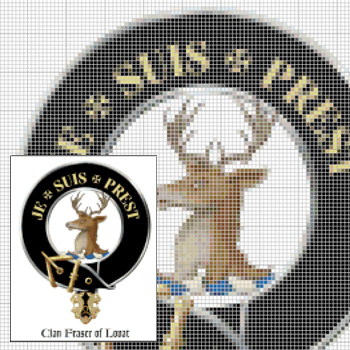 FREE Cross Stitich Instructions and Clan Crest Lo-Res Emailed Graphic worth $16.99.